Quail bird farming is gaining momentum since it is said to be one of the best sources of non-vegetarian diet. In addition the conversion rate of cereals and agricultural by-products into proteins is very high. Quail farming in India can be started in very small scale, even in backyard. Quails, zoologically named as Coturnix japonica are small birds that were domesticated in Japan for the first time in 1595. In India, they were introduced from California in 1974. They are raised commercially for their meat. Globally, China is the leading quail producer followed by Spain and France. Quail bird is known in many regional names in India like ‘bater bird’ in hindi, ‘kada kojhi’ or ‘kada bird’, ‘kamju bird’ etc. One can consider Quail for small scale poultry farming in India. Investment: The initial investment needed is very low. This is because they do not need elaborate set-up and the labor costs are very low. They can be even reared in the backyard like country chicken without any special quail farming equipment. Adaptability and Resistance: Quails are small but sturdy birds that adapt quickly to a new environment. They are not sensitive to weather changes. They are also resistant to a lot of diseases. Hence they do not require vaccination. Meat and Eggs: Quail eggs contain very little cholesterol and the meat is lean meat containing very little fat. Research has shown that quail eggs and meat promote brain and muscle development among children. Hence, they are of significance. Maturity: Quails attain sexual maturity and start laying eggs by the age of 6-7 weeks. Their egg laying rate is very high and can reach upto 280 eggs per year. 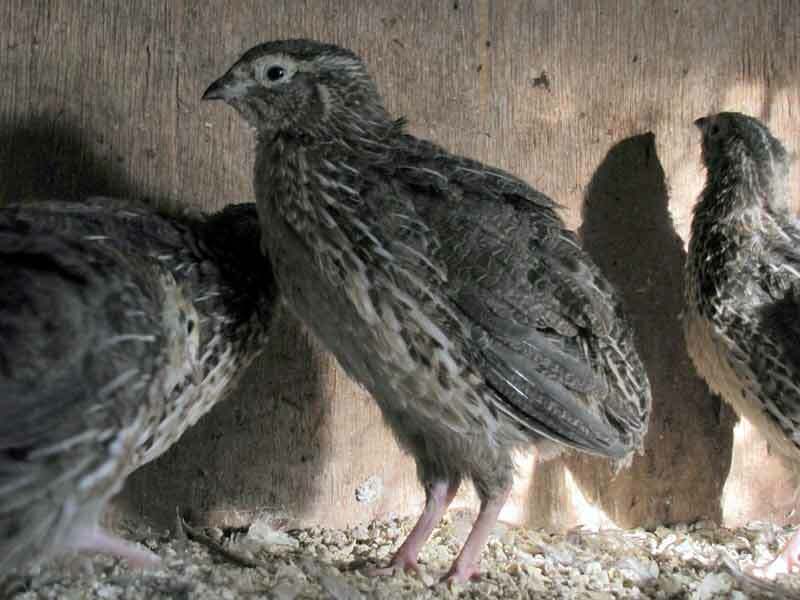 High Economic Returns: Quails can be marketed right from the age of 5 weeks. They also start laying eggs by the age of 6 weeks. Hence they can be marketed for their eggs and meat as and when needed. To ensure optimum production performance, housing is of utmost importance. Quails can be raised in both deep litter as well as cage system. Since quails are very small birds, about six birds can be easily accommodated in one square feet of floor space. However, as they grow it is advisable to move them to cage system. This would restrict unnecessary wandering and help them increase their body weight. Plastic cages are most commonly used for quail rearing. There are different types of cage systems depending on the purpose of the cage. About 100 quails can be accommodated in a space of 3ft X 2.5ft X 1.5ft for the first two weeks. Older quails need slightly more space. Every unit is 6 feet by 1 foot in dimension and it is further divided into 6 sub-units. There should be a removable wooden plate at the base of the cage. This is to clean the droppings that would fall on the plate. Cages must have adequate ventilation system and adequate arrangements for drinking water and feed. Quails are territorial in nature. Hence, if two groups of birds are being introduced they must be reared separately for a few days before introducing them in the same cage so as to avoid in-cage fighting. Extra light must be provided in the cage or sheds during rainy season and during winter. While being reared for commercial purposes, they must be provided with light for 24 hours. This boosts their growth and thus increases their market value. If they are reared in cages for breeding purposes, then the male: female ratio must be 1:3. Farms must not be more than 5 kms away from forest area in case of no human inhabitation. Farms must not be more than 3 kms away from forest area in case there is human inhabitation. Birds must stay protected in enclosures with proper security measures. In other words, they must not be allowed to roam around in the open. Proper sanitation and hygiene measures must be followed in the farm. Adequate fencing must be done to avoid stray animals or visitors into the farm as this would result in disturbances of the birds. It may also lead to chaos among the birds. Feed particles must be smaller in size. A 6-month old quail would consume up to 30 grams of feed. For egg laying purposes, quails need about 450 grams of feed. The peak fertility age of quails is between 2-8 months of age. However they start laying eggs from the 7th week. Male and female quails of 8 weeks and above are reared together for producing sound, fertile eggs. The eggs are fumigated and incubated at 37.5⁰C with 70-75% humidity. Quail eggs are incubated with 60% relative humidity for 2 weeks after which the humidity level is maintained at 70% until it hatches. After hatching the first week is the most important period in the life of quails. The newborn chicks weigh around 8 grams and so they are very delicate. Lighting provision must be provided all round the clock else the chicks may huddle together. This is likely to cause a stampede-like situation. Farmers commonly continue brooding practice for the first 3 weeks. Some also extend it to 5 weeks for better productivity. 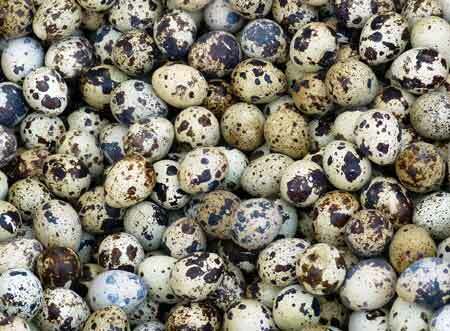 There is increasing demand of quail eggs for it’s healthy benefits. Read poultry layer farming guide for more information on egg laying farming in India. Quails being sturdy birds, disease occurrence is lesser in them compared to other poultry birds. However, improper care and management can result in lower productivity and higher mortality. Some diseases that occur among quails are ulcerative enteritis and coccidiosis. Both the diseases can be controlled through feed mixed medicines. In case of ulcerative enteritis, a gram of streptomycin mixed with a liter of water must be served to the birds for a period of three days. 2 grams of coaxial 20 in 1 liter water for 3 days would take care of coccidiosis. The best way to prevent diseases among quails is to ensure cleanliness. The cages must be cleaned regularly. The feeders must be disinfected and water changed at regular intervals. The floor of the cage must be dry and there should be well-regulated proper ventilation system. A good air flow ensures infections are at bay. It is advisable to group the birds according to their age to ensure healthy growth. The sick birds must be quarantined from the healthy ones as soon as the infection is detected. In addition, dead birds must be incinerated immediately. Quails bird fall under the list of protected species. 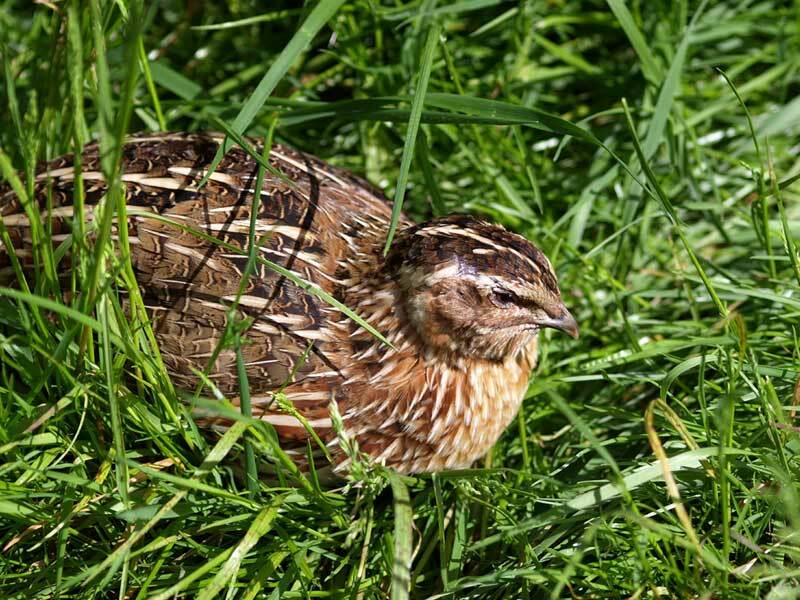 Hence, it is mandatory to obtain a license for quail farming from the Government of India. The local Animal Husbandry Department must be approached for this purpose. The license is normally granted by the Department of Animal Husbandry, Dairy and Fisheries for a period of one year after which it can be renewed. The license holder can only procure commercial quails for farming from another licensed holder. In addition, license is only granted upon meeting the farm pre-requisites and producing the necessary documents like identity proof in original. Very nice article regarding quail bird farming. I also want to start. Banned of quail farming was already lifted in India, is it necessary to collect a license from govt?